All commercial mango operations in humid climates require regular fungicide spray applications to protect against anthracnose, a destructive disease that can severely reduce fruit production. While some varieties of mango may have higher resistance to anthracnose, all mango trees are somewhat susceptible to this troublesome disease. Fungicides are a helpful mechanism for controlling anthracnose, when adequately and properly applied. For best results, provide thorough coverage and timely applications, and do not spray with chemicals more than three times a year. Reduce the pressure on fungicides by using nonchemical control measures, such as careful cultivar selection and consistent tree pruning. Mango growers are constrained by pesticide regulations that limit product type and availability. In the United States, there are relatively few fungicides that are approved for use. Copper fungicides, with the active ingredient copper hydroxide, have the highest degree of acceptance worldwide, and they are available domestically to treat anthracnose in mangoes. In general, copper fungicides are thought to be most effective when applied in conjunction with dithiocarbamate fungicides. Currently, the only dithiocarbamate fungicide approved in the U.S. is a product called Ferbam. The Fungicide Resistance Action Committee recommends no more than three fungicide applications per growing season, ideally combined with other forms of resistance. For the best results, coat all potentially susceptible parts with fungicide when the first panicles appear, before infection occurs. Provide an additional two applications 21 and seven days prior to harvest. It is possible to slow or reduce symptoms of anthracnose in fruit after harvest. If you suspect that fruit is infected by anthracnose, there are treatment options, both chemical and nonchemical, that will stop black spots and stem rot from occurring. In the U.S., the heated fungicide Thiabendazole is used in commercial packing houses. Home growers may chill fruit at 50 degrees Fahrenheit immediately following harvest. Be aware, this will delay ripening, and temperatures colder than 50 degrees can result in chilling injury. Alternatively, the fruit may be dipped in hot water, heated to approximately 120 degrees Fahrenheit, for 15 minutes. Anthracnose control is most effective when fungicide sprays are used in conjunction with other management approaches. Proper management reduces the grower's overall dependence on chemical fungicide. 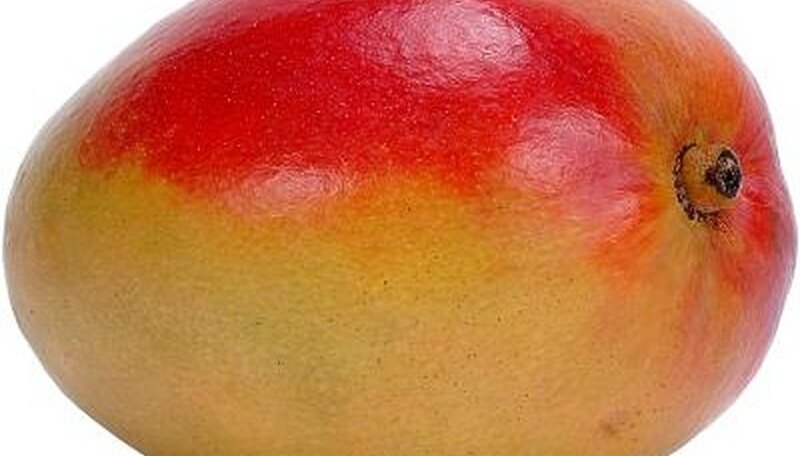 First and foremost, select an anthracnose-resistant variety of mango. Many Indo-Chinese/Philippine mangos are flavorful and disease-resistant. This is particularly important in humid, wet climates where trees are most vulnerable to anthracnose. Provide adequate tree spacing, and interplant with other types of trees that do not host anthracnose. Finally, prune mango trees annually, and do not allow fallen debris to remain on the ground.